This selection of rigs is designed for anglers fishing rough and snaggy ground where tackle losses are to be expected. 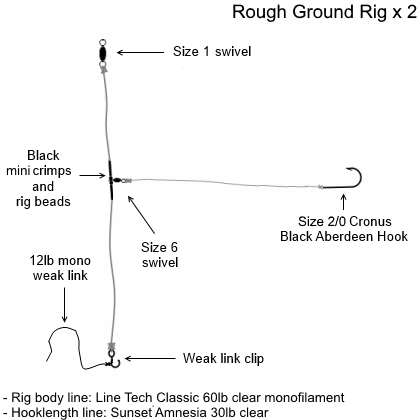 Two rough ground rigs with size 2/0 Cronus Black Aberdeen hooks are included. These rigs are fitted with a weak link release which allows only the weight to be lost (and the rest of the rig, along with any fish) reeled in if a snag is encountered. 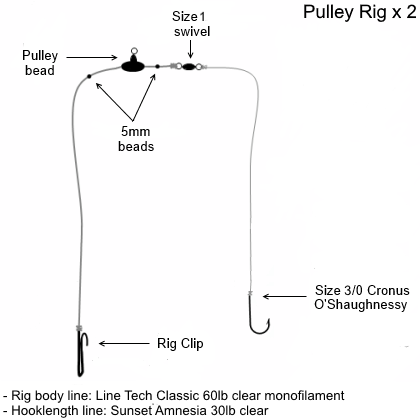 Two pulley rigs with size 3/0 Cronus O’Shaughnessy hooks are also included. 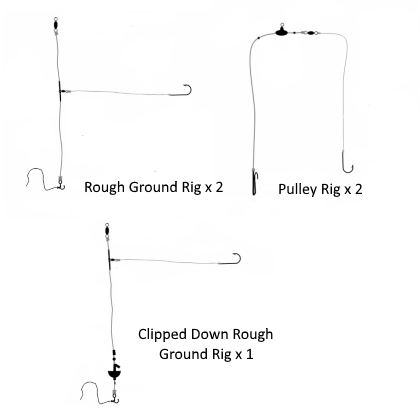 These rigs are designed so that the weight is pulled upwards while the rig is reeled in, reducing the chances of it becoming snagged. 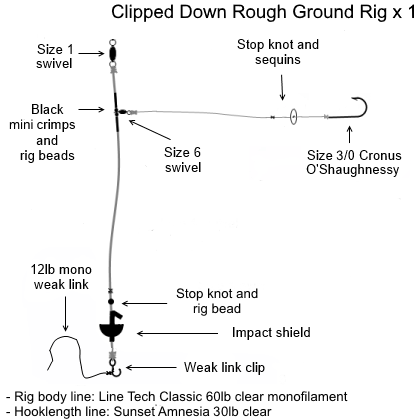 Finally, a single clipped down rough ground rig with size 3/0 Cronus O’Shaughnessy hooks is also included. This features the same weak link release but also has an impact shield fitted, meaning that anglers can cast further distances and bait presentation is improved.